Emanate Fam! WE'RE GOIN' BOWLING! 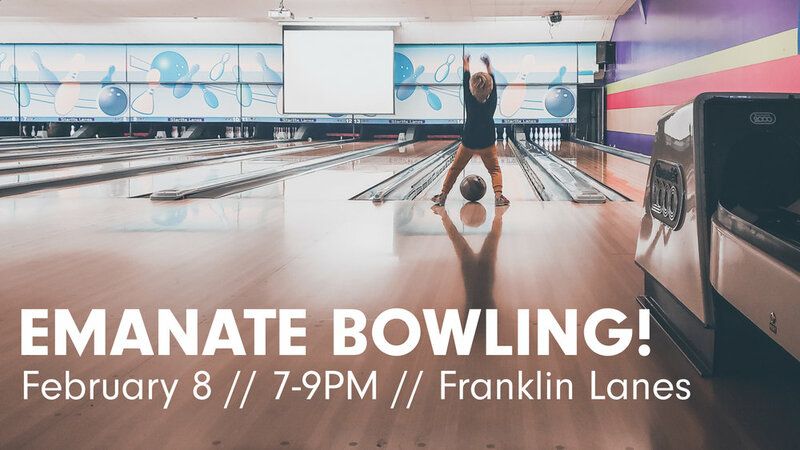 Join us for a fun night out at Franklin Family Entertainment (Franklin Lanes) from 7-9 p.m. on Friday, February 8th. This is a great chance to meet new people, connect with friends and have a "striking" time together! $5 reserves your spot to bowl and covers your games & shoes. Please register below by February 4.